Meghan Brady, a former star student-athlete at Robert Morris University who went on to rebuild the lacrosse program there, is the new head coach of the Scarlet Hawks women’s lacrosse team. Before undertaking her coaching duties at Robert Morris, Brady served as an assistant coach at Elmhurst College and Davenport University. 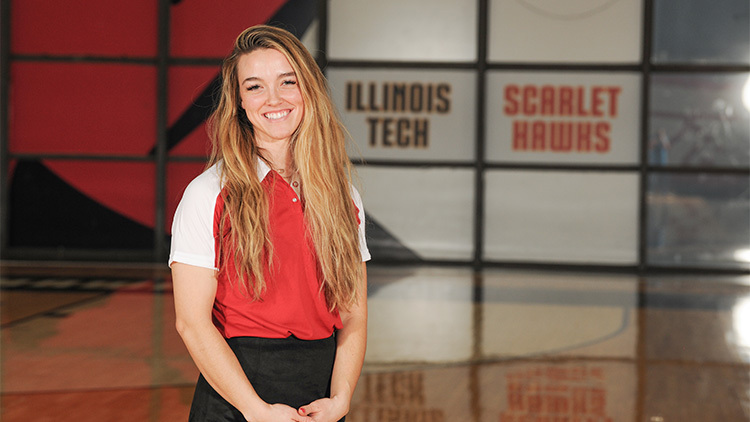 She also was head coach at Fenwick High School and Barrington High School, both in the Chicago area. As a student-athlete, Brady was a two-time All-American and All-Conference selection. 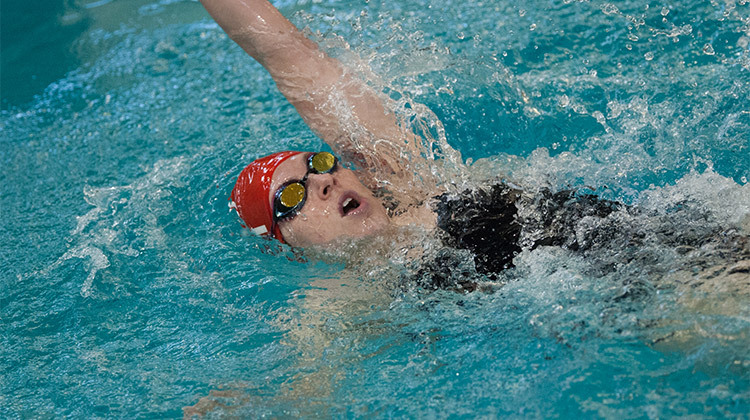 The Scarlet Hawks men’s and women’s swimming and diving teams placed third and fourth, respectively, at their end-of-season meet, the 2018 Liberal Arts Championships, held February 14–17 at Luther College Aquatic Center in Decorah, Iowa. 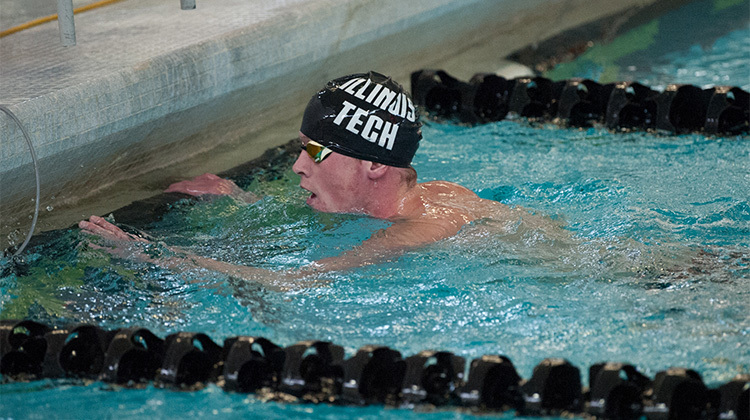 Student-athlete Karsen Diepholz (CS/AE 2nd year), who took the top score in the 1,650-yard freestyle in 2017 also won the 2018 event, besting his previous score of 16:02.14 with a new time of 15:59.97. He also set a new Illinois Tech record and the Luther College pool record. The Lady Scarlet Hawks were just two points behind the third-place team and five points behind the second. The women’s 200-yard medley relay team of Katherine Lydon (BME 2nd year), Brigitte Temple (ME 4th year), Briana Tyler (ME 4th year), and Kristin Wills (BME 3rd year) set the school record with a time of 1:49.67. The 2017 200-meter breaststroke record holder, Temple, won the event again this year with a time of 2:24.22 and a Luther College pool record. Read the Online Exclusive “Making Waves” about the men’s and women’s swimming and diving head coach, Kyllian Griffin, at magazine.iit.edu. 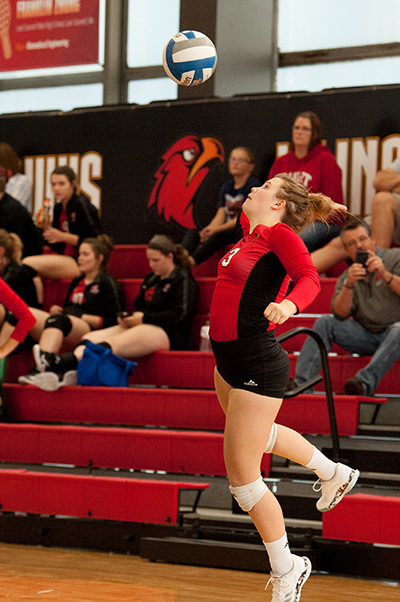 The United States College Athletic Association selected Scarlet Hawks women’s volleyball player Reya Green (PSYC 4th year) as Student-Athlete of the Year, marking only the third time that the USCAA has given the honor to an Illinois Tech student-athlete. In addition to having been team captain, Green is an involved academic leader, serving as treasurer and board member of the Student Athlete Advisory Committee and as treasurer of the Order of Omega, a selective Greek honor society whose members excel in both the classroom and extracurricular activities. The Scarlet Hawks baseball team will go bat to bat against the Aurora University Spartans in Illinois Tech’s annual ballgame at Guaranteed Rate Field, home of the Chicago White Sox. The big game will be held on Thursday, April 26 at 7 p.m.